Dome Valve Working Principle | What is Dome Valve ? 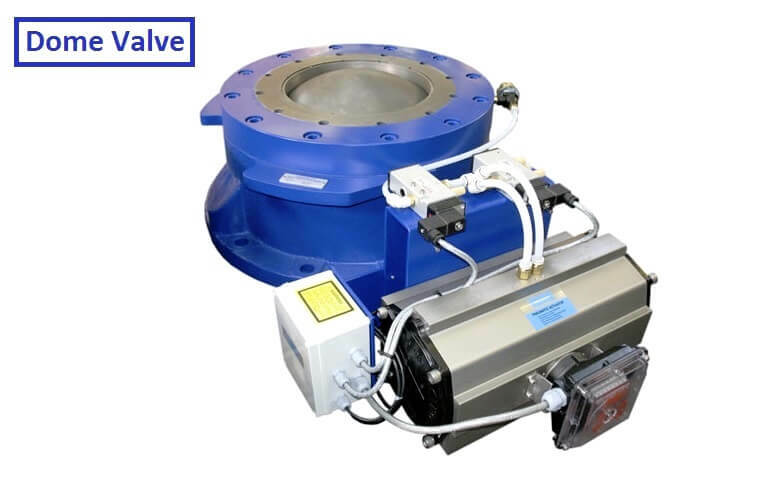 Dome Valve is a pressure tight compressed air operated valve, capable of returning over one million maintenance-free cycles, even in abrasive, hazardous or toxic applications. It is unique in its ability to open and close with a tight pressure seal in environment where abrasive materials are passing. 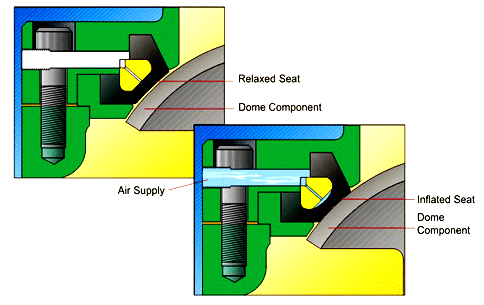 The Dome component closes beneath the seat(seal) when the seal is relaxed (not inflated), allowing a controlled gap between the seat (seal) and the closing member (Dome). Material is allowed to pass through or enter the controlled gap if, due to its characteristics, it is pulled into the gap by the action of the Dome component moving to its closed position. In the closed position, high pressure air or other gas enters the space between the back of the seal face and the insert ring to cause the seal face to expand onto and around the periphery of the Dome component. Material particles are entrapped by the seal against the dome surface, irrespective of particle size or shape. Before opening the valve, the seat is relaxed, and the controlled gap is reestablished before the Dome component moves to its open position.